A steamy psychological suspense novel set in Baltimore in the summer of 1995 that pays homage to The Postman Always Rings Twice. It’s an explicit salute to Cain — at one point one of its main characters takes certain inspiration from the classic film versions of Postman and Indemnity — and a more than worthy one ... It’s tough to say very much about Sunburn without risking spoilers, and this book deserves not to be spoiled. It’s a virtuoso performance of crafting plot, point of view and voice to reveal some things to the reader while withholding others to create a decadent, delicious tension. Sunburn oozes with domestic unease, with women all around upending the natural order of things ... 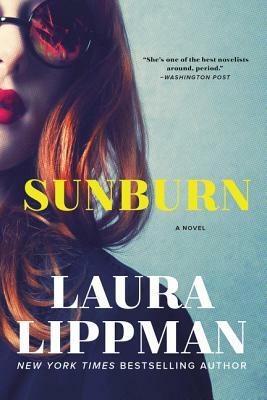 In a novel this good, it's unfair to reveal too much of the plot or its twists, but suffice it to say Sunburn has more than a few, all of them satisfying ... Sunburn is a portrait of a strong woman—equal to any Lippman has created—who has learned the hard way who she is, what she needs and how to defend herself. Sunburn, though cool and twisty, has more heart than expected. It’s generous in other ways, too. The particular atmosphere of unlovely Belleville is deftly conveyed ... People move in and out of the narrative with their own baggage and preoccupations. 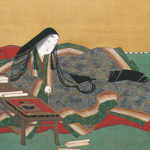 What they choose to tell us is very subjective and not always directly relevant, and this clamor of voices gives the novel satisfying depth and texture. There’s a sense here that we’re brushing up against many lives, many versions of the truth. What did you think of Sunburn?